Transport Furniture To Spain - Is There Any Type Of Furniture That Cannot Be Transported Internationally? 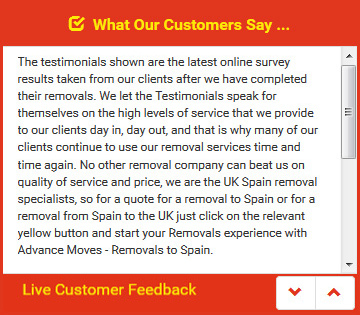 Transport furniture to Spain using a professional removals company that specialises in international moves? It�s a great option for anyone moving long term or permanently to Spain. But are there any types of furniture that cannot be transported via the usual methods? What can be done in this case? The good news is that when moving furniture to Spain there is nothing that cannot be transported. Even when it is particularly heavy or awkward to move, there are no restrictions as long as the weight limit of any vehicle used is not exceeded. Even flat pack furniture that is potentially difficult to take apart once it is made can be organised in the move. Speak to the company dealing with your removals to Spain to find out what your options are; it may be that the best way to move this type of furniture is to dismantle it. Some removers will be happy to take the furniture apart themselves, and others will prefer it if the owners do it. Make sure that whoever takes these items apart is aware of how many pieces are included in it, and ensure that the screws and fittings are kept in a safe place so that they can be reassembled properly at the other end! If a piece of furniture can be taken apart, this means that it will take up less space in a van, and therefore more items can be taken in one trip, assuming the legal weight limits are adhered to. Advance Moves are able to transport furniture to Spain efficiently, taking the worry away from you. Just take a look at our website at http://www.advancemoves.com/ for a quick quote and more details. If you would like to speak to us for advice on any furniture item, please do so on 0871 218 0612, or email info@advancemoves.com.